Imagination create both modern, creative and responsive websites for golf clubs and also functional, flexible and easy to maintain websites for club members. 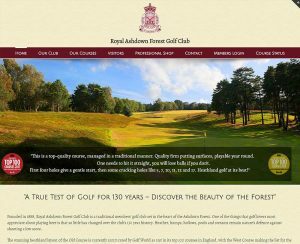 We have been developing web sites for over 20 years and our members web portal is the most highly functional and customisable facility on the market today. It is capable of being managed as a stand alone web portal or being fully synchronised with our own Golf Club management application. Each website we create is custom-built using responsive web design, meaning you won’t miss out on customers using mobile devices. Password protected private section for your members. 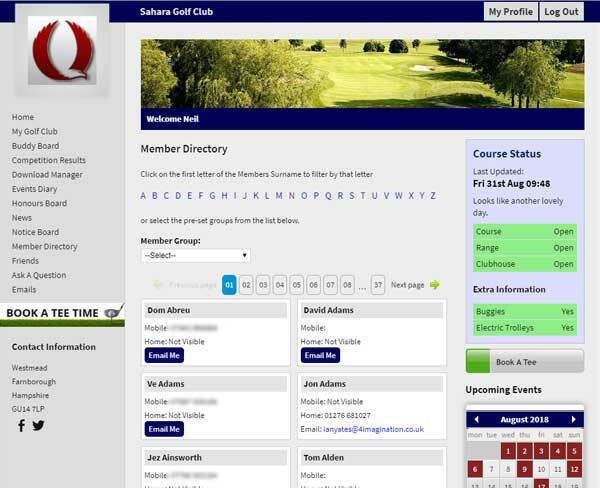 Loads of useful tools to keep your members engaged and updated on whats going on at your club. Your Web Site is your Window to the World. When people are looking for a golf club, whether it be a prospective member, a golf day organiser or just someone looking for a game of golf. 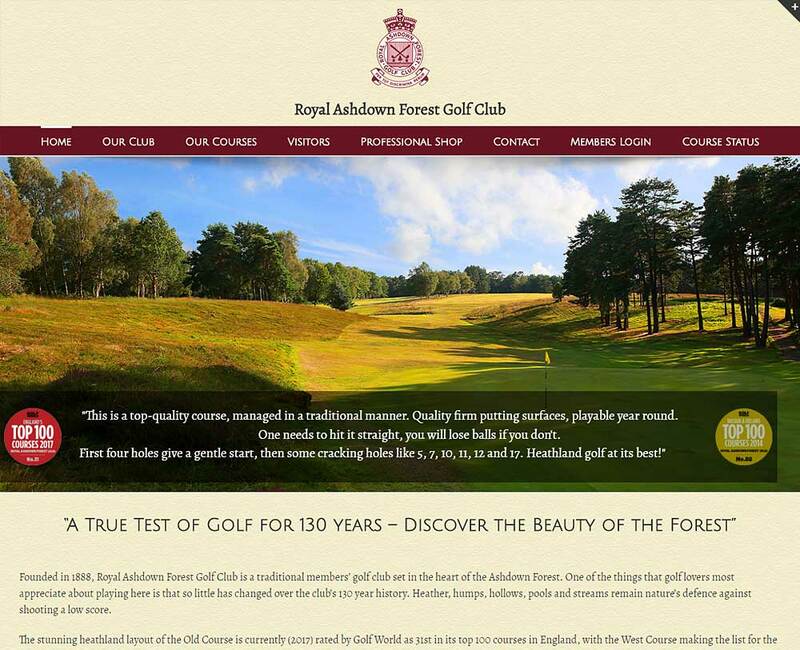 The web site is by far the most popular way for your club to be found. Imagination have been designing web sites for over 20 years and pride ourselves in understanding your business and how to project your image in the right way! The Members Web Site can be the central focal point for your member information! Members love information, they love being able to interact with the club even if they can’t physically get to it. The Members web portal gives them the tools that they want to stay up to date with the club including the competitions, matches and what’s going on.